The handling of the AL-100 is very easy due to the clearly structured touch screen interface. You quickly learn how to use the system since the precise indicated icons are conveniently located and follow a logic way of operation. You can measure your patients’ eyes by holding the probe in your hand or use the tonometer holder of your slitlamp. All measurements are audio assisted in any case. The ergonomic and compact design of the AL-100 gives immediate and convenient access to all operator elements. You have the possibility to customize the unit according to your personal preferences. Six different users as well as 10 IOL’s can be added. The patient data are imported with touch screen keyboards, which appear on the screen whenever they are needed. 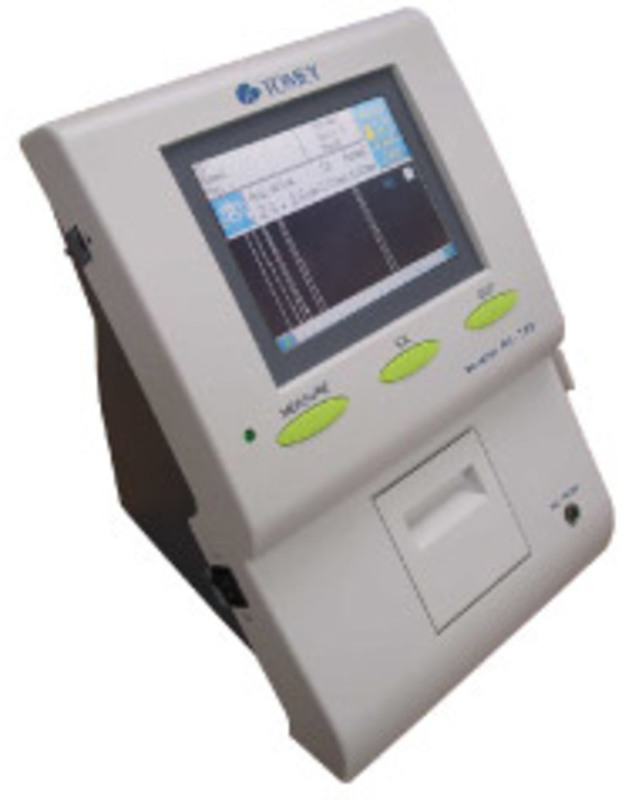 Moreover the AL-100 will calculate your personal corresponding values according to your surgery data. With 6 different presetted eye types and the adjustable velocity function, you are able to receive precise results, in contact or immersion mode.